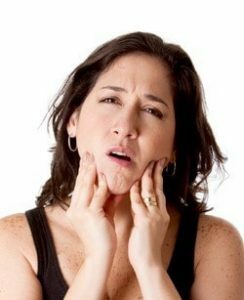 Bruxism is the term for excessive grinding of the teeth or clenching of the jaw. Sleep bruxism is more common and refers to the same clenching or sleep grinding of teeth. 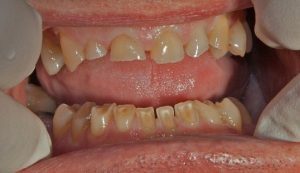 It is a common problem, but with the right bruxism treatment, can be managed so damage to teeth is minimised. 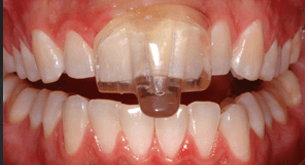 We commonly make and fit a tailor-made nightguard to stop people grinding their teeth at night. There are different causes of bruxism, such as genetics, some medication, ill-fitting dental appliances, abnormal bite, stress, types of sleep apnoea or other reasons. It has become more reported in children in recent years, but this may just be from more awareness of the condition by parents. Symptoms include sore teeth, TMJ (sore jaw joints), sore jaw muscles and tooth damage. One of the better solutions is a nightguard. 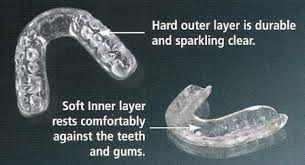 We can fit a custom nightguard for Bruxism that will protect your teeth and stop grinding. If you are looking for teeth grinding or bruxism treatment by a dentist in Kooweerup or the surrounding area, we can provide the right solution to suit you, or your child’s needs. Call to make an appointment and get a solution to your teeth grinding problem.